Based in Malaysia, hide.me VPN offers impressive features and solid performance to internet users all over the world. 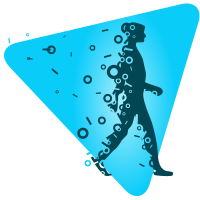 The team behind this little gem are extremely keen on internet privacy and security. They are equally keen on providing customers with a serious and robust VPN service for a private and secure internet experience. In this review, we will discuss the different services provided by hide.me VPN based on using their free trial. hide.me VPN is one the feww VPN services that offer a free VPN plan to internet users. The plan features 3 servers, limited bandwidth (500 MB), 2GB data transfer, 1 simultaneous connection and limited support for protocols. We were connected to Canada server and we got impressive speed results. As for their refund policy, hide.me offers a 14-day money-back guarantee. 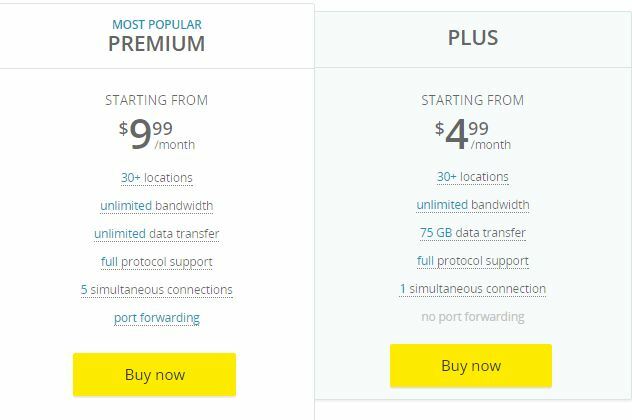 In addition to the free plan, hide.me offers 2 paid subscriptions, “Premium” & “Plus” at $9.99 and $4.99 a month respectively. hide.me accepts regular and anonymous payment methods, including: Visa, Mastercard, PayPal, Sofort, CashU, Bitcoins, and many more. We always recommend using anonymous payment options, like Bitcoin to keep your personal details secure and avoid identity theft and fraud. Furthermore, their location in Malaysia keeps them away from any European or US jurisdiction, which is ideal for maintaining online privacy and not worrying about peeping Toms sniffing about your business. hide.me VPN is fully compatible with all major platforms, like: Windows, Mac OS, iOS and Android. It is not, however, compatible with Linux. hide.me can also be used on desktops, laptops, smartphones and tablets as well. It is also mentioned on their website that will soon release a client for Windows phones. Moreover, hide.me VPN offers its users a free proxy service to enable them access geo-restricted websites and enjoy an anonymous web surfing. We had a good experience with hide.me VPN. We tested their Windows client on our system and are using have been using their free plan all day. In fact, we are writing this review while being connected to their VPN application. The signing-up process is very easy. All that is needed is to insert a username, password and a valid e-mail address. You will then receive an e-mail to activate your account. Equally easy, the Windows software was about 6MB in size which is great as it would not eat up much space. In very few minutes, we were able to install the client. The software interface is very simple, user-friendly clear about all the information it contains. It is very-well designed and did not cause any hassle or interruptions. 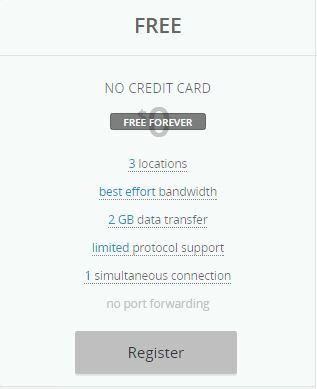 You will find the main page with an expandable list of servers that you can connect to (only 3 servers are available for the free plan). There is also a settings page containing all the features available according to your subscription plan. Most of the features (e.g: kill switch, DNS leak protection, etc.) were inactive on the free plan. We particularly enjoyed their description of each VPN encryption protocol in terms of security and speed. We would like to praise the overall performance of hide.me VPN as we enjoyed a fast and seamless experience when we took it for a spin. We were connected to “Canada” server and it did not disconnect or disrupt any running applications. We were able to unblock and stream videos as well as internet radio stations completely buffer-free. All in all, hide.me VPN does provide good speed and above average performance. In this section, we will go through the different features of hide.me VPN and what makes it a very good VPN provider. Scroll down for more details. As for encryption protocols and security measures, hide.me VPN is packed to the grills. It uses AES 256-bit encryption and offers multiple protocols, such as: IKEv2, IKEv1, OpenVPN, PPTP, L2TP and SSTP protocols. This guarantees a safe and secure web surfing as long as you are connected to hide.me. In addition, hide.me VPN also provides SOCKS proxy. hide.me VPN has over 90 servers spread across 28 important countries, including: USA, UK, CANADA, BRAZIL, FRANCE, AUSTRIA, BULGARIA, GERMANY, ITALY, SPAIN, NORWAY, NETHERLANDS, SWITZERLAND, TURKEY, SWEDEN, CHINA, AUSTRALIA, SINGAPORE, JAPAN and many more. As for bandwidth, paid subscriptions come with unlimited bandwidth. However, the free plan only provides 500MB. hide.me generously offers more than one form of support to its subscribers, including: live chat, e-mail tickets, a help centre and a copious blog. So, you can definitely reach out to hide.me team at any time and they are very responsive as well. Hide.me VPN is definitely one of the best VPNs that we have tried and reviewed. It gives a solid performance in terms of stability, connection speed, security protocols and additional features. We also like the fact that they offer a live chat support which is always useful because human interaction gives better results to a customer’s experience than only relying on e-mail ticketing or F.A.Qs.